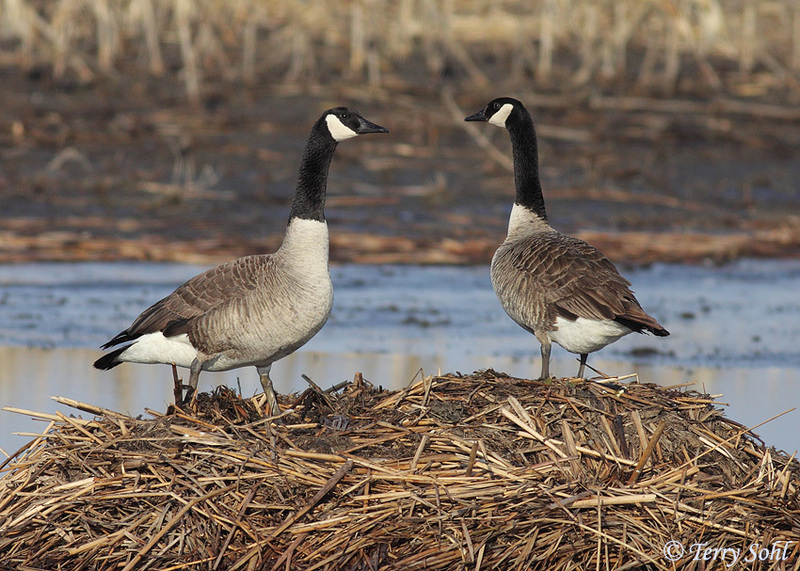 This photo of a pair of Canada Geese was taken on April 10th, 2011 in Lincoln County, South Dakota. They do seem to like using muskrat structures for nesting. Taken with Canon 50D, 400 5.6l.